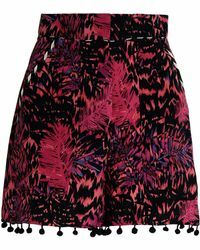 Ever since the first collection shown by the label in 1997, Matthew Williamson has been a go to for glamorous women who love colour. 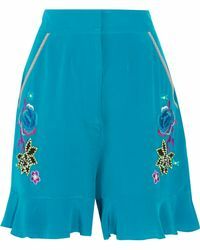 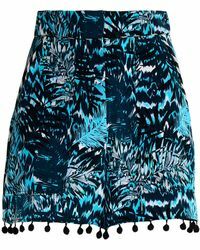 The brand pulls no punches when it comes to bold designs, from the exotic prints that have won the label so many fans all-over the world, to the unapologetically enthusiastic use of every shade on the colour spectrum, from the starkest of monochromes through to the brightest of sky blues. 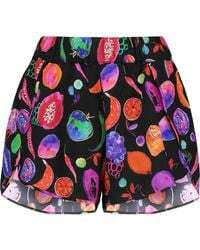 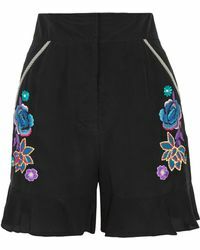 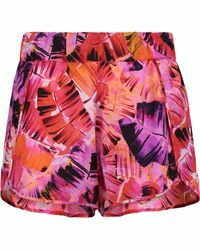 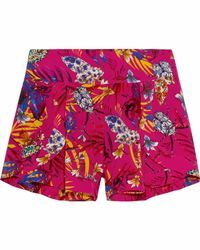 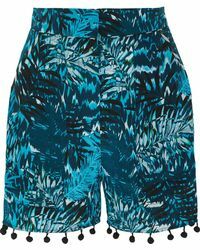 The range of shorts from Matthew Williamson is a great illustration of this diversity with silk shorts, Bermudas and linen shorts bearing digital prints, paisley and Ikat.